The authentic surroundings at the Venetian Resort Hotel Casino in Las Vegas, Nevada. 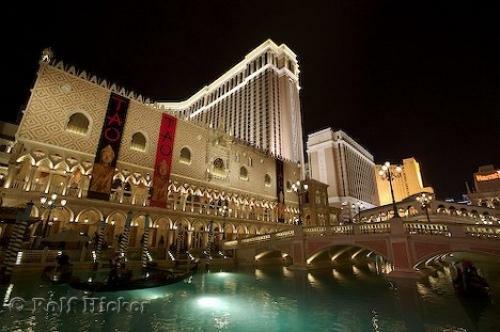 Part of the Venetian Resort Hotel Casino represents a replica of the Palazzo Ducale at the Piazza San Marco in Venice. There is also a miniature version of the Grand Canal in front of the hotel where guests can enjoy a romantic Gondola Ride. The Venetian Resort Hotel Casino is situated along The Strip in Las Vegas, Nevada, USA. Photo of the Venetian Resort Hotel Casino in Las Vegas, Nevada, USA.